Is it possible to eat healthy during the holidays? Do you really want to? For me, the answer is yes and no. Yes, I know it’s possible to continue to eat healthy during the holidays. But no, I really don’t want to. So instead, I’ll try to find a happy medium. Some say that most people only gain about a pound during the holidays, others say you can gain up to ten…I imagine it depends on the person. 1. Avoid empty calories – Instead of drinking high calorie beverages, try drinking water with lemon. And limit alcohol whenever possible. 2. Try not to go to holiday parties hungry. When possible, eat a healthy meal before you attend the party. You will make much better food choices if you are not starving when you arrive to the party. 3. If you must indulge in holiday treats, remember that portion control is key. Just have one cookie, rather than a handful. Or have a small piece of pie, rather than a large piece. It’s okay to indulge, just try not to over-indulge. 4. Try making your favorite recipes healthier, just about every recipe has a healthy version. 5. Burn a few extra calories by having fun and dancing to your favorite holiday music. Don’t just listen to those holiday tunes, burn calories by dancing to them too. Kids love it when mom dances with them. 6. When possible, avoid stress. I know this is easier said then done, especially at this time of the year. But many of us are emotional eaters, and stress is an emotion that can really pack on the pounds. Do what ever possible to avoid stress. 7. Dress for success. Try to wear snug fitting clothing, it will make you more conscious of your food intake. And we usually look thinner when we’re not wearing clothes that are too bagging. 8. As always, avoid processed foods. Remember, you are what you eat. For Thanksgiving my son wanted me to make the pumpkin cheesecake that I made last year (everybody loved it), so I did. And since it’s a recipe lower in fat and calories, it seemed like it should be a healthy dessert choice — that was until I realized I couldn’t stop at just one serving (or even two for that matter). I guess you could say, I over did it a bit. I know the best thing for me to do is to get over it and get back to making healthier choices. So instead of focusing on the negative, I’m going to follow my tips on the days I can, and not be too hard on myself on the days I can’t. I think that’s a pretty good plan. What about you? Are you worried about holiday weight gain? Will you be trying to eat healthy over the next few weeks, or are you going to indulge your cravings and worry about it after the new year? I would love to know in comments. A few weeks ago my daughter and I were at the mall doing some back-to-school shopping and walked by a kiosk selling what looked like cigarettes. We both thought it was odd, but we assumed it must be some type of “quit smoking” devise. But, on the way out we actually saw a man demonstrating this product which looked exactly like a cigarette (including the smoke). I have to admit, it was very strange seeing someone smoke in a mall, you just don’t see that anymore (except for right outside the mall). As we walked by I noticed a sign that claimed it was a “clean” way to smoke. At the time we just rolled our eyes at the ridiculousness of it all, and wondered why anyone would want to pay money for something that looked like a cigarette but wasn’t? Fast forward to a few days ago when I was asked to write a post about the controversy surrounding the e-cigarette. I hadn’t heard of an e-cigarette, but after researching it, I realized it was the same thing we saw being sold at the mall. After reading more about e-cigarettes, I have mixed feelings about their benefits. On one hand, the manufacturers of the e-cigarettes are claiming they only want to give smokers an easier way to quit smoking. But on the other hand, they are marketing the product by glamorizing a new “cleaner” way to smoke. So what is it? It’s clear the real motivation (as always) is in making money, not so much the health or best interest of the consumer. And that’s why I’m happy to hear that the FDA is cracking down on these “questionable” products. The U.S. Food and Drug Administration sent warnings to five makers of electronic cigarettes for marketing them illegally as stop-smoking aids and said on Thursday it intends to regulate the products as drugs. The move is the latest attempt by the FDA to assert its jurisdiction over electronic or e-cigarettes, battery-powered devices that allow users to inhale a vaporized liquid nicotine solution instead of tobacco smoke. I think if it’s determined that this product is a safe way to help smokers quit, it might be a better idea to make it available by prescription only (rather than the local mall and internet). Electronic cigarettes, or e-cigarettes, contain carcinogens and toxic chemicals, according to a new analysis by the Food and Drug Administration (FDA). One sample even included diethylene glycol, a toxic ingredient found in antifreeze. E-cigarettes are often sold as a way to quit smoking or to get nicotine in places where smoking isn’t allowed, but they aren’t currently regulated by the FDA. While these products have been billed as tools to help smokers quit, they have not been submitted to the FDA for that purpose. In addition to the possible risks associated with these e-cigarettes, I also worry about whether more people could actually become addicted to nicotine because they are being told it’s a safe alternative to cigarettes. Will people who would have never thought to try smoking be loured into a false sense of security and end up addicted to nicotine and e-cigarettes? The e-cigarettes have been made readily available on internet with tobacco, strawberry, chocolate, and vanilla flavors and are made accessibly legal for the minors as well. But teenagers of New Hampshire are opposing the technological cigarette smoking as they think that e-smoking is bound to become popular among youth of their age, making them addict to the nicotine intake offered by the same. What do you think? Is this the first you’re hearing of e-cigarettes? Do you think they have a place in our society? Would it be weird seeing people smoking in restaurants and hospitals again? I would love to know what you think in comments. Health concerns usually top the list of reasons people give for quitting smoking. This is a very real concern: Half of all smokers who keep smoking will end up dying from a smoking-related illness. In the US alone, smoking is responsible for nearly 1 in 5 deaths, and about 8.6 million people suffer from smoking-related lung and heart diseases. Nearly everyone knows that smoking can cause lung cancer, but few people realize it is also a risk factor for many other kinds of cancer too, including cancer of the mouth, voice box (larynx), throat (pharynx), esophagus, bladder, kidney, pancreas, cervix, stomach, and some leukemias. Smokers are twice as likely to die from heart attacks as are non-smokers. And smoking is a major risk factor for peripheral vascular disease, a narrowing of the blood vessels that carry blood to the leg and arm muscles. Smoking also affects the walls of the vessels that carry blood to the brain (carotid arteries), which can cause strokes. Men who smoke are more likely to develop erectile dysfunction (impotence) because of blood vessel disease. Also see my post from last week Why Are So Many People Still Smoking? What are you doing right now? Aside from reading this post, you are most likely sitting somewhere. On your couch? At your desk? In a chair? Wherever you find yourself sitting, I’m sure that it won’t come as a surprise to you, that sitting isn’t good for your health. But did you know that it is so bad for your health that it could be taking years off of your life? Unfortunately, I can’t even say that I’m setting a good example for any of you by doing something other than sitting on the couch with my laptop myself. However, this new study did get me thinking about ways I might be able to do less sitting, and I think I am going to give a few of them a try (tomorrow). It wasn’t just that they weren’t getting exercise. Patel and colleagues found that sitting itself was detrimental to health. Sitting increased risk of cancer death, but the main death risk linked to sitting was heart disease. That’s scary stuff. I’m sure that I’m sitting more than six hours of the day, and up until very recently I was getting little to no exercise. So, how many hours a day do you spend sitting? Could you be sitting your way to an early grave? What about your kids? In the age of couch potatoes, it’s not surprising that a lack of activity has become a serious health risk. The question is — What are you ready to do about it? Are you ready to take steps to be more active and less sedentary? If so, now is a great time to start. The best part is, the study doesn’t suggest that you have to replace hours of sitting with hours of activity. It seems that even just breaking up your sitting time with a bit of active non-sitting time can be beneficial. Here are some tips for increasing your life expectancy by decreasing the amount of time you sit. Remember, these are just ideas, use these ideas as guidelines for developing a personal plan that works best for you. Well, I’m here to admit that I was unsuccessful in my Choose You commitment. I don’t really consider it a failure though, because I did meet most of my goals. I’m very happy that I am finally at the point where I am not craving sweets and other junk foods. I didn’t lose any weight, but I was successful in maintaining my healthier eating habits. 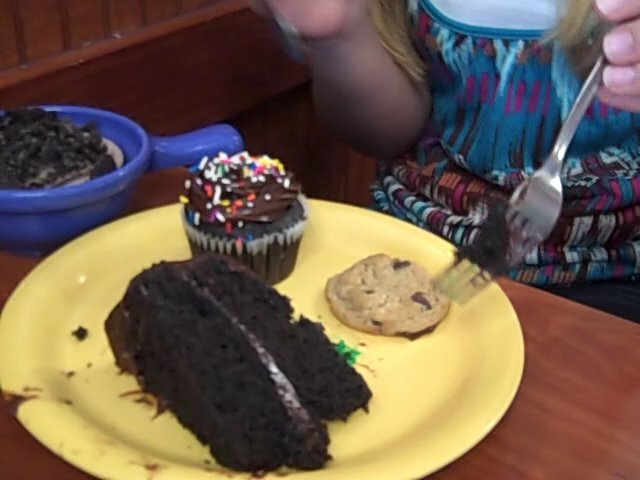 I wasn’t even tempted when my daughter brought back a plate full of deserts when we went out last week. I have no plans of giving up. My next Choose You commitment will be to continue my healthy eating while also integrating regular exercise (specifically swimming) into my plan. Although I hope to lose some weight in conjunction with all of this, I’m not going to hold myself to any number on a scale. If I lose five pounds that will be a great bonus, but I know the most important thing is that I am choosing a healthier lifestyle for myself. I recently wrote a post about choosing to see the positive when we are working hard at weight-loss and fitness goals, but not seeing many results. I find myself in the classic half-full or half-empty mark in my healthy eating plan. I can choose to see my plan as half empty, because I haven’t even lost one pound yet. Or I can choose to see my plan as half-full, because I have had success in eating healthier foods and avoiding sugar. In other words, I can choose to feel good about myself or choose to feel like a failure. It’s totally up to me. And I’ve decided to try something new, “choose” to feel good about myself and take a closer look at all the ways I’ve been successful. Although I haven’t lost any weight yet, I have had the strength and willpower to maintain healthy eating habits (and give-up sugar) for over six weeks. In my book, that’s success. Anyway, that’s my story. I’ll let you know more about my new commitment next week. How important is willpower when it comes to our ability to maintain a healthy diet and lifestyle? Is it possible to change poor eating habits to healthy ones if you don’t have a lot of willpower? My answer: The more willpower you have the easier it will be, but perfection isn’t necessary. No one wants to admit that they lack willpower or self-control, but the truth is, none of us has an unlimited supply. Some days we may have less self control than others, but that makes us normal, not imperfect. When it comes to healthy living, a healthy dose of willpower is helpful. The good thing is, once you’ve had the willpower to resist certain unhealthy choices and adapt healthy ones, willpower is needed less and less because your new choices become habit. 1. Have a plan for dealing with times of low willpower. Making the plan before you’ve lost your willpower is key. Think of all the possible problems that could arise, and then come up with some ways to help you overcome them. For example: If eating healthy is your goal, make sure you have a lot of healthy alternatives available for the days you’re feeling you must eat something that you know you shouldn’t. If you don’t think that will work, then go ahead and eat what you’re craving, just limit yourself to one serving of it (rather than the whole box). If you think it will help, write down your solutions to the possible problems in a journal or on a post-it note, and review them frequently. The most important thing is to be prepared. Because it’s not a matter of will you have a moment of weakened self-control, it’s a matter of when. Take a bath or a walk on the beach. Do what ever you can do to reduce the stress in your life. This isn’t just a way to help your willpower, this is a necessary component of healthy living. 3. Have a glass of orange juice. Studies show that glucose is a key ingredient that your brain needs to help maintain an effective level of self-control (willpower). 4. Exercise the willpower muscle. Don’t wait for something huge to come along and challenge your willpower. Instead, make an effort to challenge your willpower on a smaller scale more frequently. Doing this actually builds up your ability for having greater willpower at the times you really need it. These are a few tips that can help you develop stronger willpower. But it’s important to know that we will all have times we falter, there is no such thing as having complete self-control, and that is perfectly okay. What are your willpower issues? Do you have any tips you can share about ways to maintain willpower for healthy living and healthy eating? May is Lupus Awareness Month, and even though it’s the end of the month, I wanted to do my part to bring more attention to this devastating disease and some of the brave women living and blogging with it. Lupus is an autoimmune disease that affects many more women than men. In fact, ninety percent of people who develop Lupus are women. The scary part about Lupus is that it can damage any organ in the body (including the heart, kidneys, lungs, blood, joints, and skin) causing life-threatening complications. The most common symptoms of lupus are: extreme fatigue or exhaustion, headaches, painful or swollen joints, fever, a butterfly-shaped rash across cheeks and nose, sun- or light-sensitivity, and hair loss. Approximately two-thirds of people with lupus will develop some type of skin complication. This often is in the form of a rash or sores, most of which will appear on sun-exposed areas, such as face, ears, neck, arms, and legs. There is no single laboratory test that can determine whether a person does or does not have lupus. Diagnosing lupus involves analyzing the results of several lab tests that are used to monitor the immune system, along with a review of the person’s entire medical history. Systemic lupus is the most common type of lupus. Systemic lupus can affect any organ system of the body, including the heart, kidneys, lungs, blood, joints, and skin. In lupus, the immune system loses its ability to tell the difference between foreign substances, such as viruses or bacteria, and the body’s healthy tissue. The result is the production of auto-antibodies that attack healthy tissue. Since many symptoms of lupus mimic those of other illnesses, lupus often can take three to five years to diagnose. Symptoms of lupus can come and go over time, which makes a definite diagnosis more difficult. There are many courageous women living and blogging with Lupus, and May is the perfect time to check out their blogs and show them some love and support. If you know a woman blogging with Lupus please share their link in comments. Dieting, Weight Loss, and a Choose You Giveaway. An Update and a Giveaway…My very first give away. I’m happy to report that even with additional temptations this weekend [It was my mother’s birthday and we got her an ice-cream cake, chocolate volcano cake, and cheese cake.] I was still successful in my goal to not eat sugar. It actually wasn’t hard at all to resist, I think because it’s been over two weeks, I’m just not craving the sugar the way I normally do. So that’s a plus! Do you want to see the Birthday Dance of my mother that I made with the American Cancer Society’s new dance application? Here’s the link – Frances Ellen Disco Dancing (Feel free to tease her about it in comments, she loves all the attention). OK, back to my post. Since I was so successful with my first (two week) commitment, I decided to make a longer and more difficult commitment next. For the next six weeks I will be continuing to avoid sugar, but I will also eliminate high fat/calorie snacks and junk food, and lose 5 pounds. That’s a lot…But you think I can do it, right? So that’s my new commitment. Now for the giveaway. Since I know my Choose You Commitment is going to get more and more difficult to stick with, I wanted to do something to increase my online support. It may sound silly, but I love getting comments of support and tips from my readers. And the more feedback I get, the more encouraged I get. So I asked the folks at the American Cancer Society if I could do a giveaway. 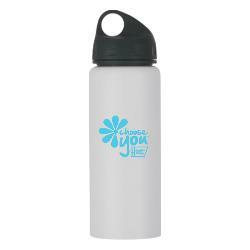 Not only did they say yes, but they agreed to donate a Choose You Stainless Water Bottle and a Choose You Lapel Pin. All you have to do is go to MY CHOOSE YOU BLOG POST and leave a comment on the post and you will be entered to win (I’ll announce the winner when I post next Tuesday). Any comment will do, but like I said in my first post… I could use all the support I can get from you. Join The Choose You Movement with Ellen Pompeo of Grey’s Anatomy. Catherine is the mother of two teenagers, she writes about health & wellness at BlogHer and catherine-morgan.com. Are you tired and sluggish all the time? If so, it could be something you’re eating (or not eating). Knowing what foods can help keep your energy up might be just what you need to get through your busy day. 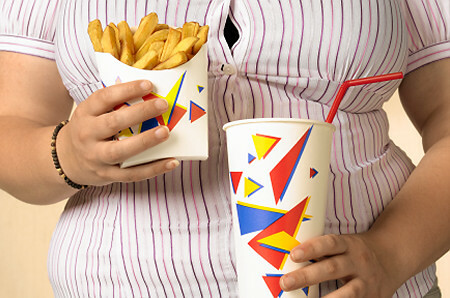 Stay away from “quick-fix” foods that contain a lot of sugar or caffeine (like candy bars, soda, and coffee). Although these may give you a quick spike in your energy level, that energy will rapidly bottom out leaving you feeling even more lethargic. Consuming high levels of salt may also contribute to a sluggish feeling. Well, those are the things you should avoid, now let’s take a look at the foods with the most benefits. Try to focus on low-glycemic foods, because they release energy slowly. The best are foods high in complex carbohydrates and low in fat. Whole Grains – These are high in fiber (which slow the breakdown and absorption of sugar) and complex carbohydrates, they also contain antioxidants similar to those in fruits and vegetables. In addition to increasing energy, whole grains are believed to reduce the risk of cancer, diabetes, and heart disease. For the most benefit, try to eat 6 or more servings of whole grains per day. Oatmeal is a whole grain that is also beneficial for its high source of soluble fiber. Salmon is high in protein, and is also high in omega-3 fats that can also boost your cardiovascular health. Beans are packed with protein, fiber, vitamins, and minerals. Don’t forget to drink plenty of water. Not only can dehydration lead to fatigue, but water also helps flush out toxins that can drain your energy. Eating these high energy foods can have other benefits besides just reducing fatigue. When you avoid foods that cause fatigue and instead eat healthy high energy foods, you reduce your risk of heart disease, diabetes, and possibly cancer. Eating these foods can also help you maintain a healthy weight. And don’t forget that you are the role model for the children in your life, you can teach them by example how to make healthy food choices. Win a $100 Visa Gift Card by Playing BlogHer’s Scavenger Hunt. Find out what BlogHer was a guest on Oprah, who played cards with Brad Pitt, and who had their first kiss with Scott Baio. HINT: One of them was me. In the spirit of their newly launched Fun and Games section, BlogHer has cooked up a Scavenger Hunt using some of your jaw-dropping profile facts. Playing is fun and easy, and we’re giving away cash prizes, natch. Read (and marvel!) at each fun fact about a BlogHer. 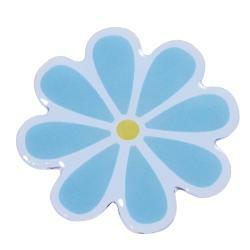 Tell us which amazing BlogHer the fact belongs to. We make it easy by giving you just two links to BlogHer profiles. Follow each link, read both surprising facts and then answer (links will open in a new window, so you won’t lose your place on the entry form). If you score 100 percent correct answers, you’ll be entered in a random drawing to win one of ten $100 Visa gift cards. Late to the game? No worries, we’re leaving this open until Tuesday, April 20th, at 5 p.m. Pacific. Read the official rules here. Politics: How is the healthcare crisis related to the high cost of healthy foods? Are healthcare, politics, and the high cost of healthy foods related? Let me start by saying…I am so sick of politics I could throw-up. But that said, this is about much more than politics. It’s about the warped reality we are all living in, from the White House to our local supermarket and fast food joint. About two weeks ago I read an article comparing the cost of health care to the cost of food. It suggests that the best way to solve the healthcare crisis, is for all consumers to be forced to pay more for healthcare – Because then people would think about the cost before “choosing” certain tests and treatments. What a shocking revelation…Who would have thought (other than the CATO Institute) that the people who can’t afford expensive health care services would “choose” not to have them? Although, I wouldn’t really consider that a choice. Are Doctors Doing Too Many Invasive Heart Tests? We’ve heard a lot about too many mammograms leading to too many invasive biopsies. But now a recent study is showing that doctors may be doing too many invasive heart tests as well. Every year more than a million people in the United States are given an angiogram to check for blocked arteries, but in many cases the tests reveal no significant blockage. Does that mean that all of these tests were unnecessary? Not at all. The study suggests that doctors begin to do a better job determining which patients really need an angiogram…Specifically, that careful evaluation be done when patients have no known heart disease and they are not in an emergency situation. Patel thinks that “the entire diagnostic process from start to finish needs reevaluation — from talking to patients to the threshold for going invasive,” meaning angiography. The best place to start, he says, is with patients without symptoms of heart disease, such as chest pain. Almost 1 in 3 Americans who get angiograms today are symptom-free. Their doctors order angiograms presumably because they suspect “silent” heart disease, perhaps because a patient has a family history of coronary disease, diabetes or other risk factors. But angioplasty and stenting–procedures commonly done during angiography to widen clogged coronaries and keep them open–have never been shown to lengthen life, Patel says. The reason for doing them is to relieve symptoms. And if a patient doesn’t have symptoms, then doctors and patients should ask themselves what’s the point of doing the angiogram — instead of reducing coronary disease risk factors. Typically, patients suspected of heart disease based on family history or, say, unexplained chest pain, first undergo non-invasive tests such as a stress echocardiogram or nuclear perfusion study to see how well the heart is functioning. Guidelines suggest such tests should indicate a potential problem before a patient is referred for an angiogram. In the study, 84% of patients got at least one of these tests, but the information they provided was only modestly helpful in predicting whether patients had significant disease. Researchers said this underscored the need to find more effective ways to recommend patients for angiograms. Other factors contribute to demands for more angiograms, doctors say. Among these: financial incentives for doctors to perform angiograms, worries of malpractice suits if a blockage is missed on early tests, and patients demanding more specific information about their condition. What do you think? Do the benefits of angiograms outweigh the risks for patients without known heart disease? We know that the food we choose to put into our body can have a huge affect on our health and quality of life, but many of us still choose to eat unhealthy foods. Let’s face it, the unhealthy stuff tastes really good, and we don’t usually have cravings for healthy food. That’s exactly why obesity is such a large problem for both adults and children in our country…But is dieting the answer? I don’t think so. As we all know, dieting can often lead to a roller coaster of weight loss and weight gain, that leaves many weighing more in the long run. So if dieting isn’t the answer…What is? Breast Cancer Screening: Are women just too emotional for mammograms before 50? I guess the title of the post speaks to where I stand on the issue. Although my feelings on this topic are contrary to Dr. Esserman’s point of view, I do think that she believes she has a woman’s best interest at heart. Dr. Laura Esserman, a nationally known breast surgeon, is the director of the UCSF Carol Franc Buck Breast Care Center at the Mount Zion campus. Her work is devoted to developing new, more effective ways to care for and empower breast cancer patients during treatment and to tailor treatments using biology, personal preference and constant feedback regarding outcomes of care. Shortly after Dr. Esserman spoke about her study to the attendees of the breast cancer forum, I had an opportunity to interview her. See three part interview with Dr. Laura Esserman here. I was honored to be asked to attend the Avon Foundation’s Breast Cancer Forum earlier this week in San Francisco. And I have so much to share with everyone about all that I learned there. I decided to do that in a series of posts rather than just one big one. – Video interviews with Dr. Laura Esserman on new mammogram recommendations. – Video reactions of attendees to Dr. Esserman’s discussion on new mammogram recommendations. – Advances in Imaging Technologies to help improve early detection and diagnosis of breast cancer. – Is fear of unnecessary biopsies having an impact on early breast cancer detection? – Results of survey on the early impact of the new breast cancer screening guidelines. – The latest research on Inflammatory Breast Cancer…Signs and symptoms for early diagnosis, new treatment recommendations, understanding why this type of breast cancer can be so deadly. – Reaching the medically under-served, uninsured, and under-insured. – Nutrition and physical activity in breast cancer. – Most effective ways to explain risk factors in breast cancer diagnosis and treatment. As I post on these topics, I will also include links to them on this post. Question. Would you eat dog food? What if it was mixed in with your hamburger meat? Would you eat it then? What if I told you it wasn’t your choice? What if it was already in the burgers you are eating? Don’t shoot the messenger. Anyway, it’s not like they are just putting dog food into your burger, they are adding ammonia first to kill off the E. coli. Well that’s a relief. And if the USDA says it’s safe, it shouldn’t matter whether you know about it or not. Right? 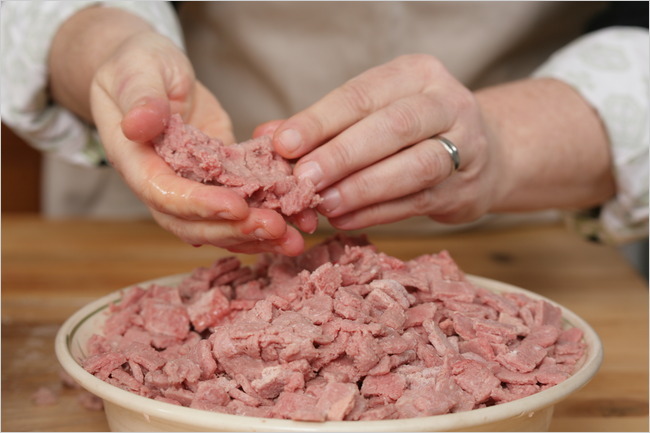 No worries though…The USDA says it’s a perfectly safe way to turn fatty slaughterhouse trimmings (once sold as dog food) into burgers from your favorite fast food joint, grocery chains, and even school lunches. Yes, you heard right. Rather than make dog food out of this otherwise trash, it’s now being processed into food for you and me (and our kids). What are the poor dogs going to eat? And how long will it be before we are all eating that too? And get this…The USDA has exempted this new beef product from its mandatory E. coli testing, based on studies done by the same company making millions selling this disgusting stuff. 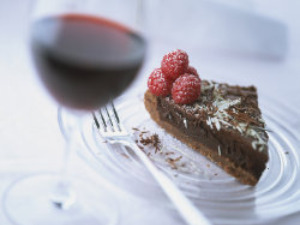 By now most of us have heard that there are many health benefits to red wine and dark chocolate. But what is it about these two (seemingly not so healthy) foods that make them good for us? And…Is it possible to get too much of a good thing? In this post we’ll take a look at these two foods and their surprising health benefits. Let’s start with my personal favorite – dark chocolate. Today you can buy just about every type of chocolate candy (from M&Ms to Kit-Kats) in dark chocolate. But, it’s not just any chocolate that’s good for you…It must be dark chocolate with a high percentage (70%) of cocoa, to get more of the health-enhancing antioxidants. Earlier this week I was part of a conference call with Carnie Wilson, who was recently featured on the Dr. Oz Show to talk about her food and alcohol addiction. Carnie Wilson has always struggled with her weight. She even had gastric bypass surgery in 1999. Then after going through two pregnancies, and gaining 50 pounds each time, she found herself battling the extra weight all over again. After watching the show, I can understand how Carnie may have been shocked by some of the things Dr. Oz was saying to her. It’s funny to me how Dr. Oz seems to try so hard to make medical issues more understandable to the average person, but he didn’t clarify many of the comments he was making about Carnie. For instance, doctors refer to patients as “morbidly obese” strictly based on their weight and BMI. But clearly, although Carnie may fit the medical definition of morbidly obese, she is obviously in a much healthier place than she was in the past. And when Dr. Oz checks her glucose level, he does so by using a method diabetics use to keep track of their blood sugar throughout the day. Carnie’s doctor would be using a much more accurate method that involves fasting blood work, and that’s why she is so certain she is not pre-diabetic…she probably isn’t. Fertility News: 90% of Eggs Gone By Age 30. I think it is well known that as we get older we have a more difficult time getting pregnant, but I was shocked to hear these new statistics on fertility. It seems that 90 percent of a woman’s eggs are gone by age 30, and only 3 percent remain by age 40. Ninety Percent of eggs are GONE! That’s a huge number. That’s a scary number. It’s common knowledge that women have more difficulty conceiving as they age, but this is the very first study believed to quantify the number of eggs lost and it shows that the decline is more rapid than previously believed. Over time, the quality of ovarian eggs also deteriorates, increasing the difficulty of conception and the risk of having an unhealthy baby. The study was based on information collected from 325 women of varying ages in the United Kingdom, the United States and Europe. I imagine this news is going to cause a great deal of anxiety to women in their 30’s who were holding off having children. What do they do? Do they drop everything and try to have a baby before their eggs run out? And how will this affect women who want to pursue a career before motherhood? Are women going to have to start choosing motherhood over career for fear of future infertility? I came across a pretty disturbing article today…It suggests that doctors are bias against overweight women, to the extent of jeopardizing their health and well-being. It’s no secret that overweight people are discriminated against in many ways. But recent studies have found that overweight women are actually being discriminated by their own doctors and health care professionals. With two out of every three Americans considered to be overweight or obese, this bias could be putting many people at risk. Could you be one of them? It begins with the availability of quality health care. If you are overweight, you may have a harder time getting health insurance, or be made to pay higher premiums than your thinner counterparts. And it doesn’t stop there. You may be paying more, but getting less. For instance, an overweight woman is more likely to be misdiagnosed or prescribed the wrong dosage of medications. There is also a greater risk of not detecting cancer early enough for effective treatment. And, overweight women are also less likely to find a fertility doctor to help them have a child. What is your eating style? Do you follow one of the popular diet plans? If you’re looking to eat healthy or lose weight in the new year, there are a lot of diet plans out there to choose from. But how do you know which plan is best for you? I’m not a fan of fad diets – Even when they work, they are often an unhealthy choice and any weight lost is usually quickly gained back. But there are diet plans geared towards healthy eating and healthy weight loss. Maybe you’re already following one. In this post I thought we could take a look at some of the diet plans that also focus on healthy eating. Because, in the long run, changing unhealthy eating habits to healthy ones is the only way to lose weight and keep it off.